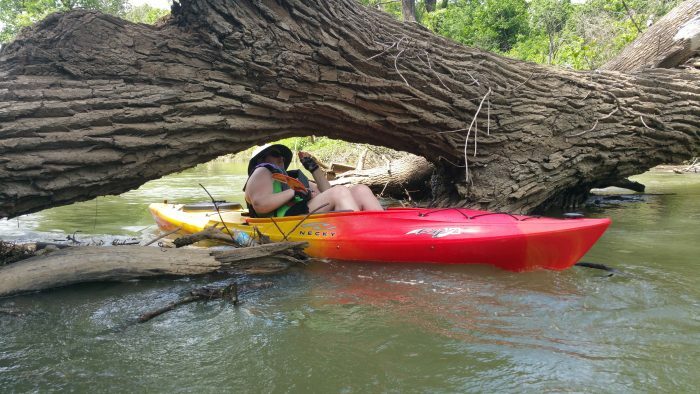 Its not called low adventure for a reason! 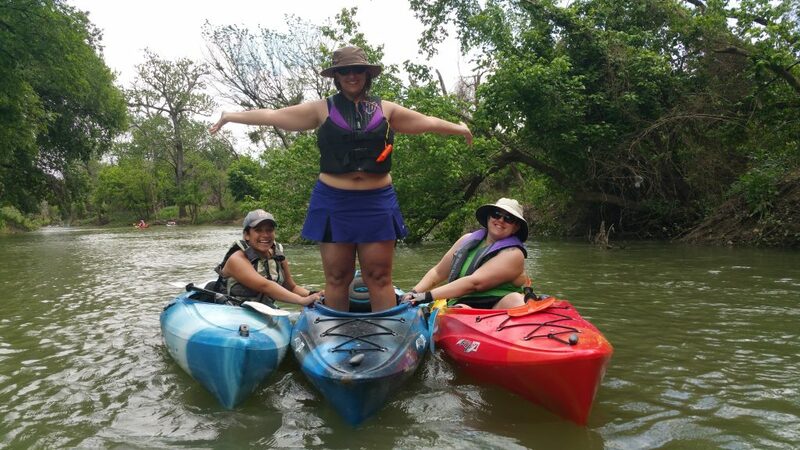 outstanding in her kayak Daughters!!!! 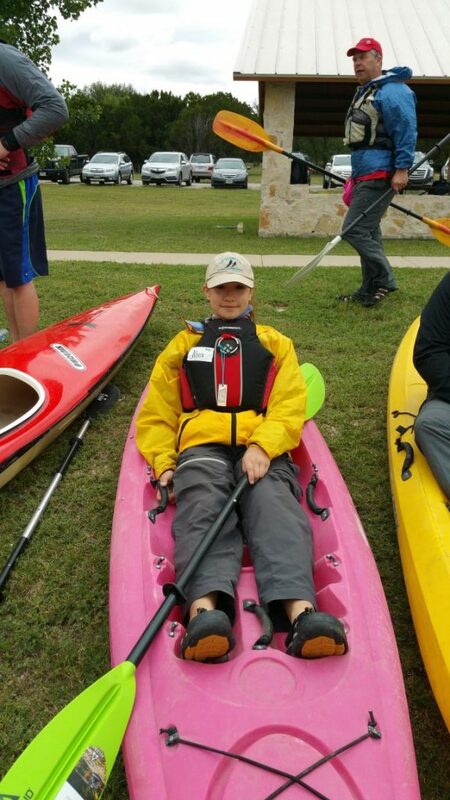 Its starts to sink in (pardon my pun) when we start fitting the kayaks to the kayakers that the reality of yes were kayaking in these conditions and that you realise exactly what the word HAT’s stands for! 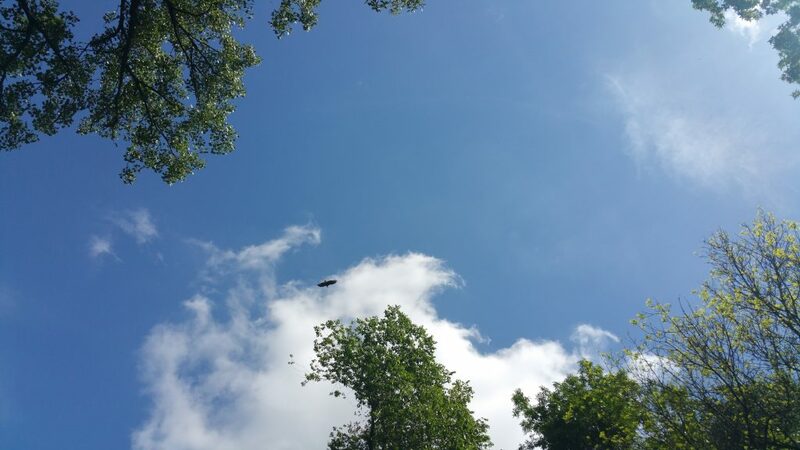 But mr wind starts doing his thing and we wnd up very quickly looking not so spread out…. 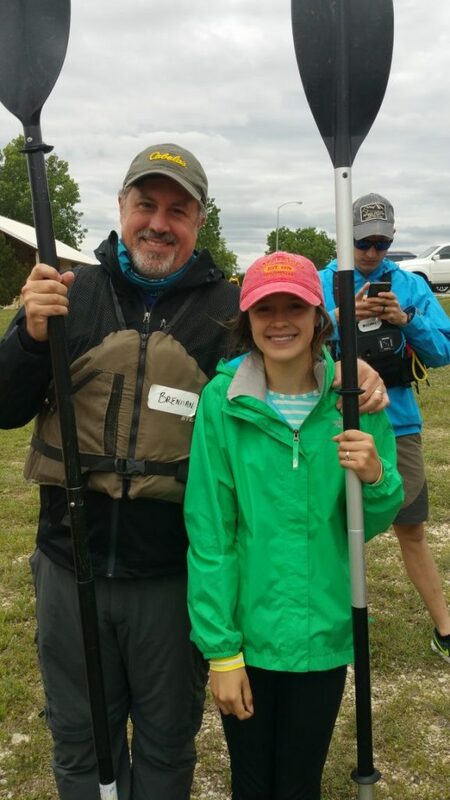 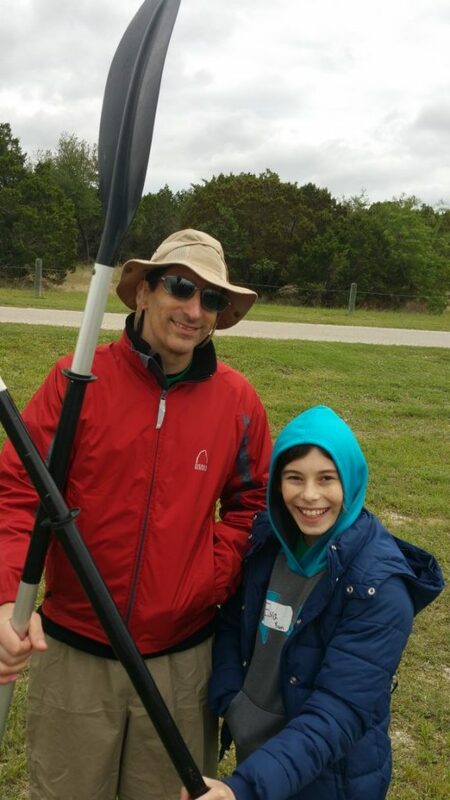 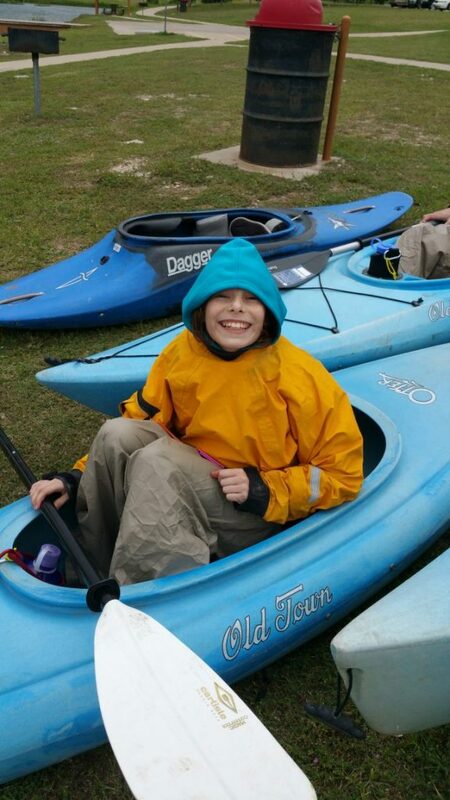 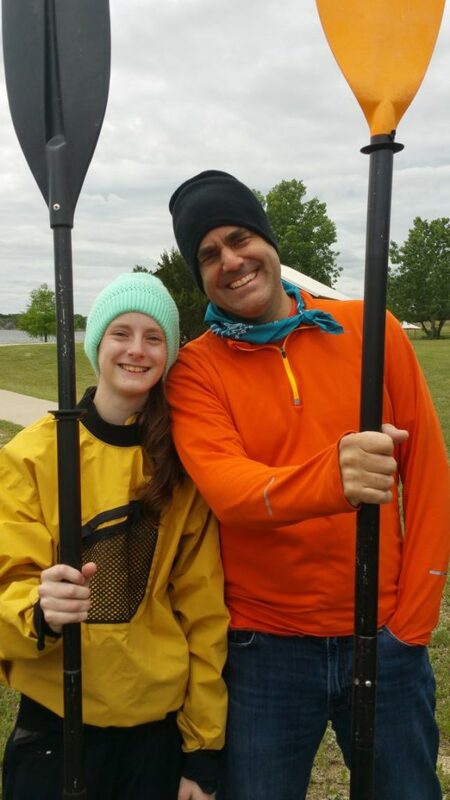 But hey …its Saturday…im kayaking with my Dad and or Daughter…so im having tons o fun! 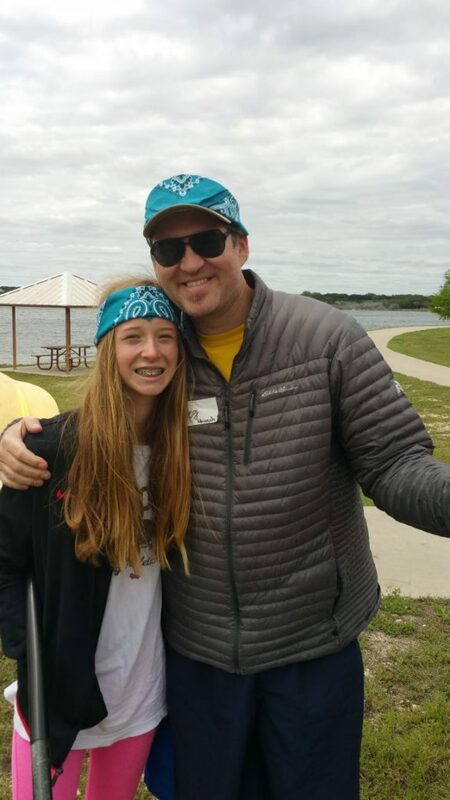 A big shout out to our team mentors along with our steely eyed camp director too! 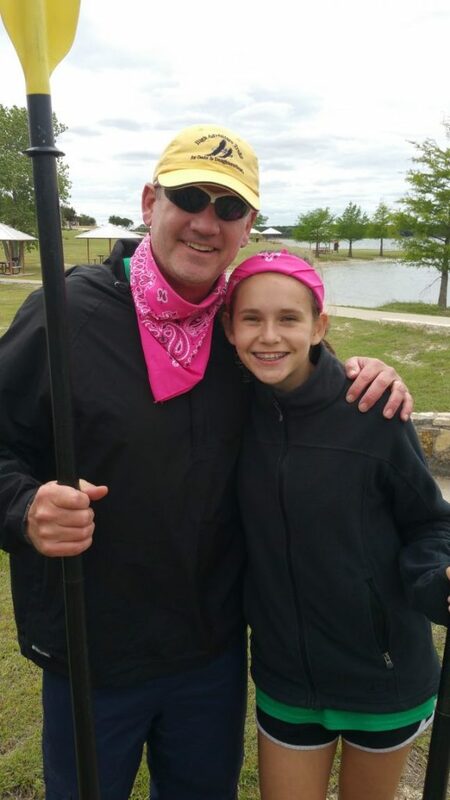 You see some Dads can just really ROCkthe pink land or sea! 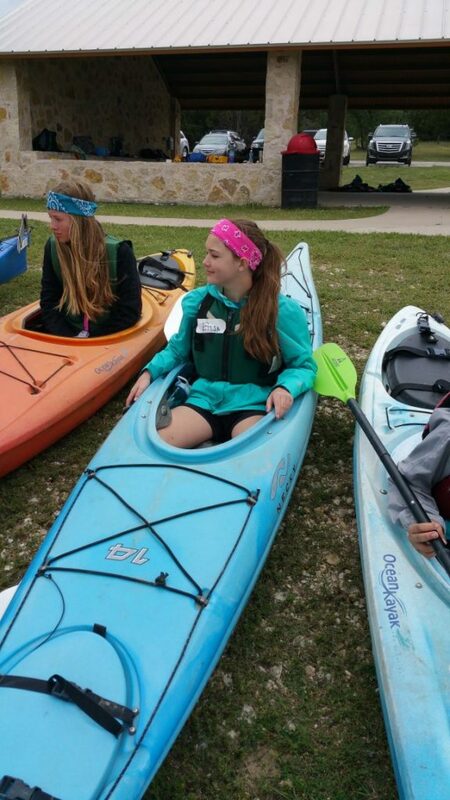 K A Y A K P O W E R . C O M!!!!!!! 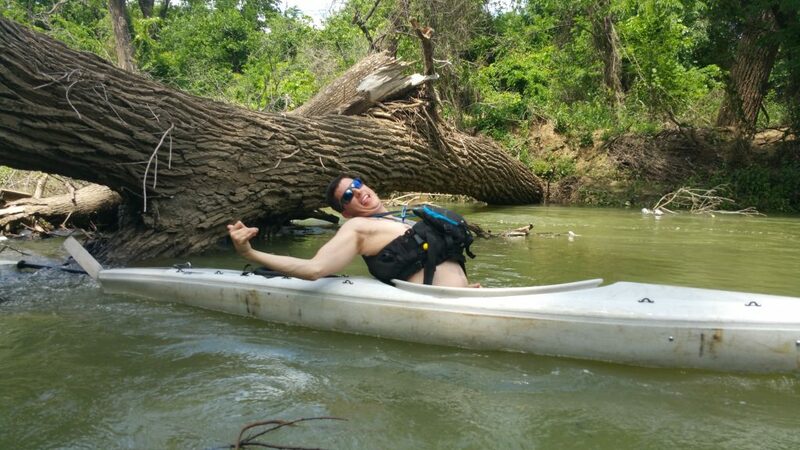 Posted in Uncategorized | Comments Off on Its not called low adventure for a reason! 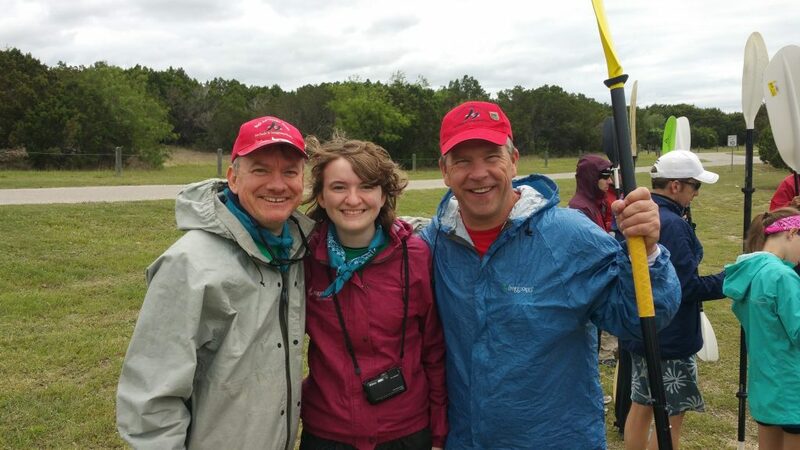 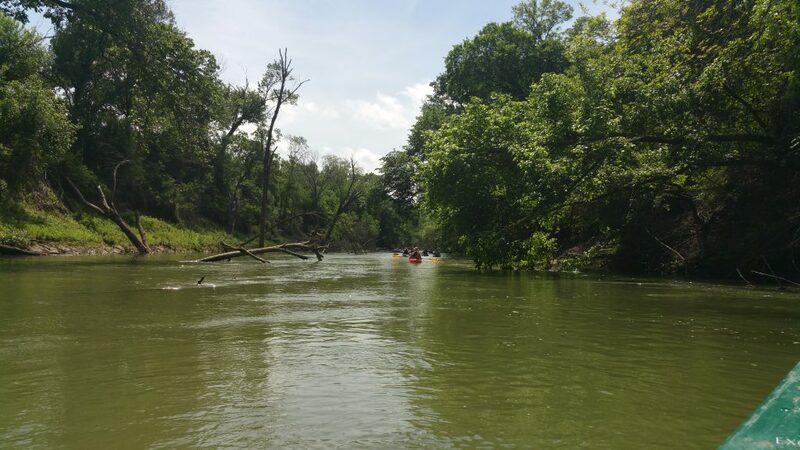 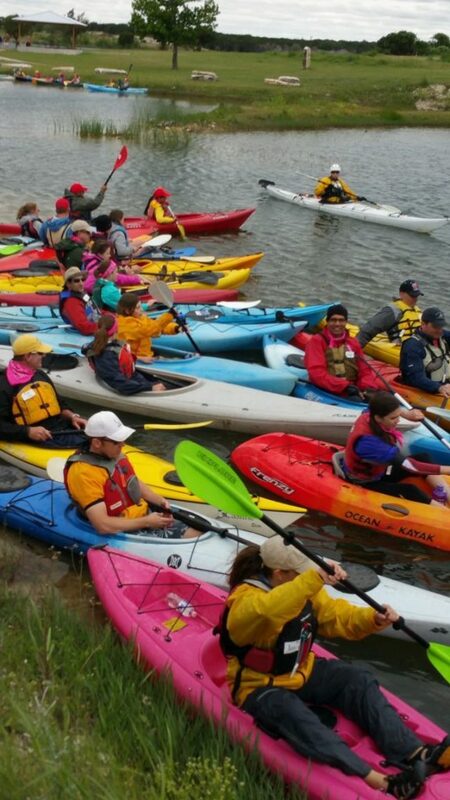 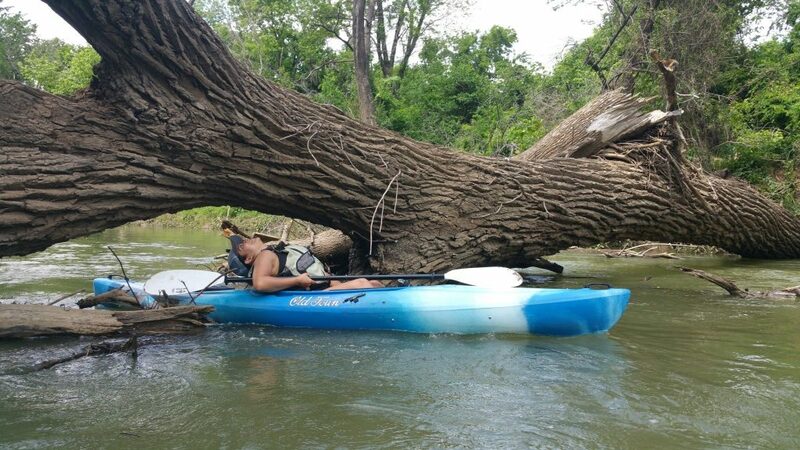 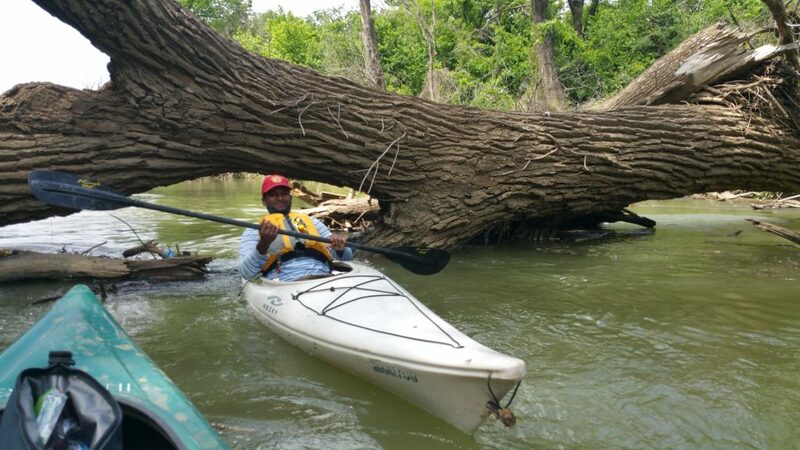 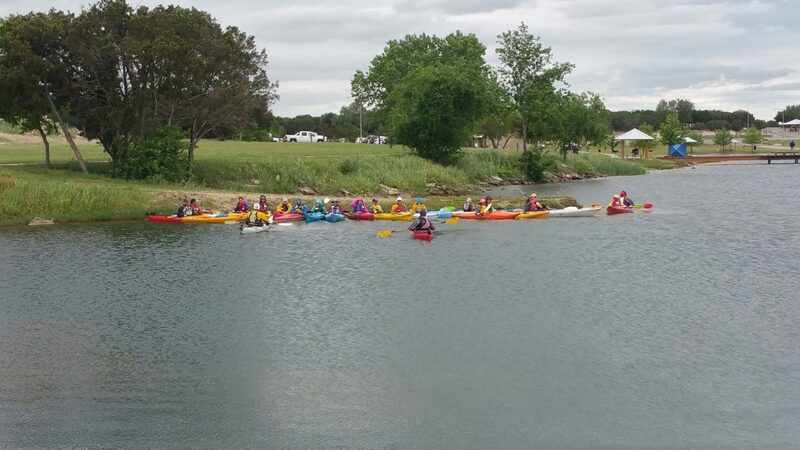 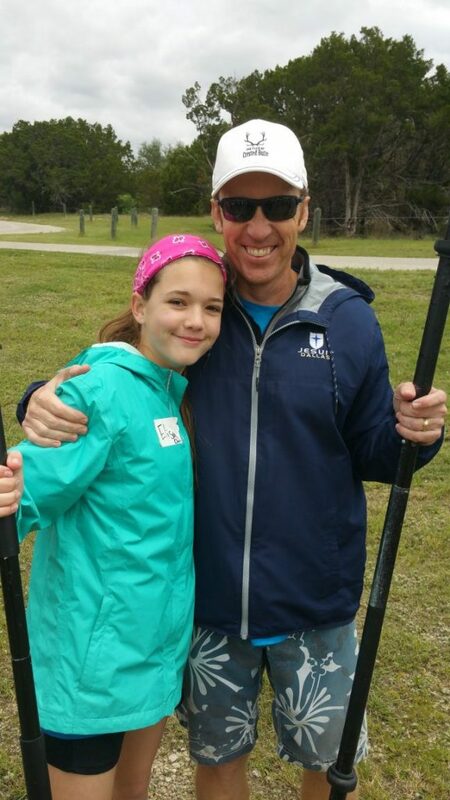 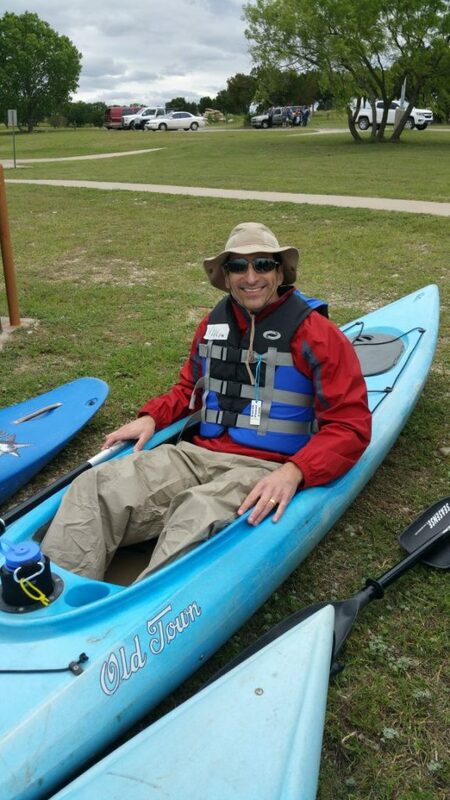 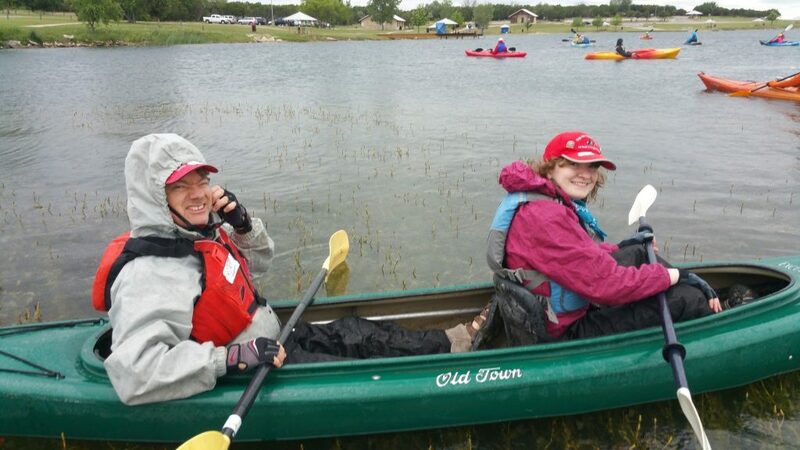 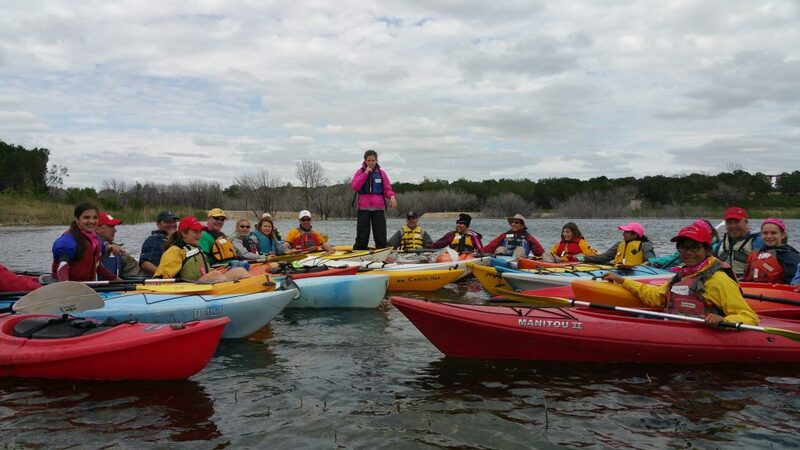 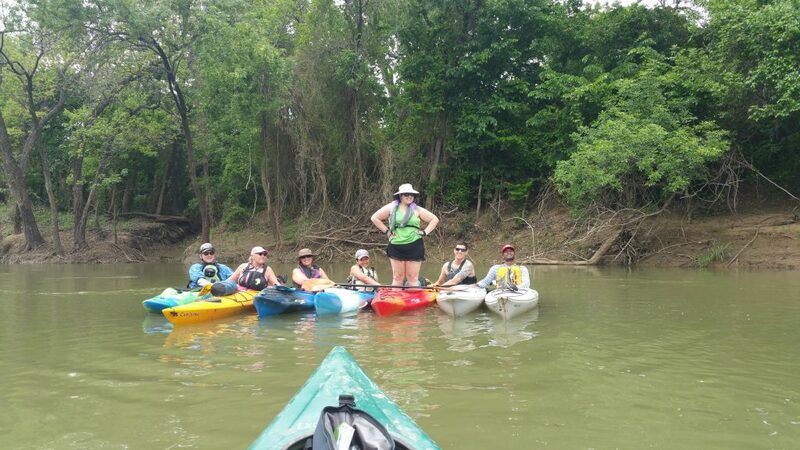 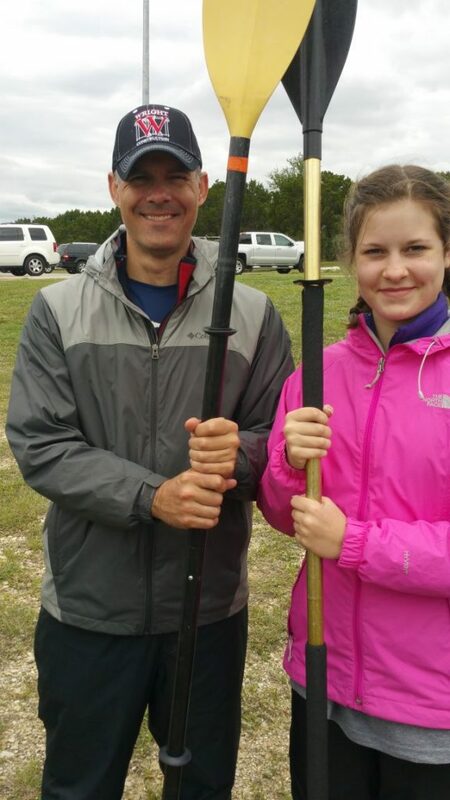 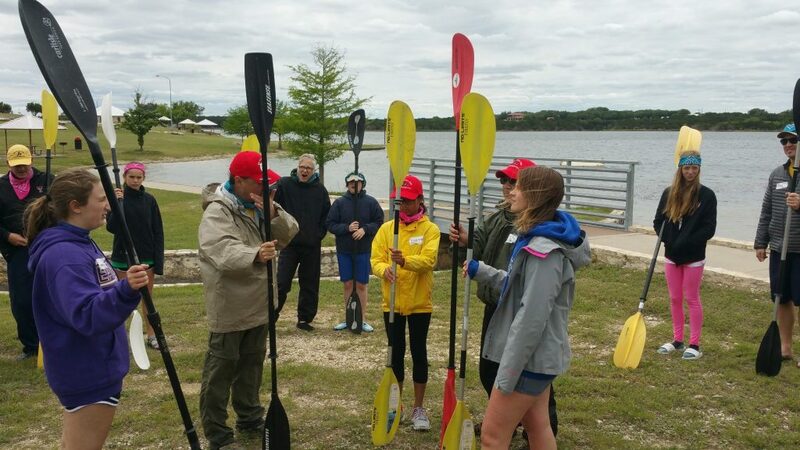 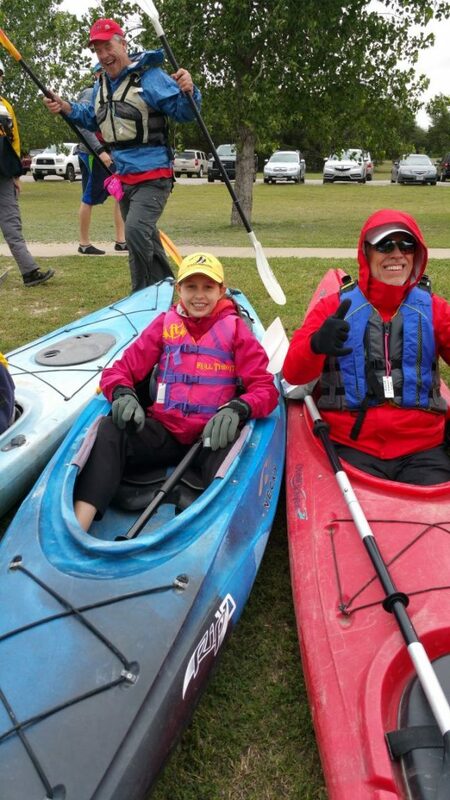 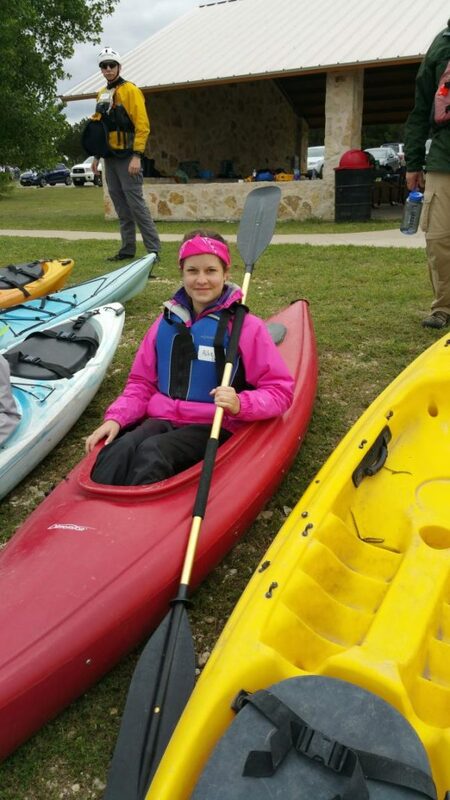 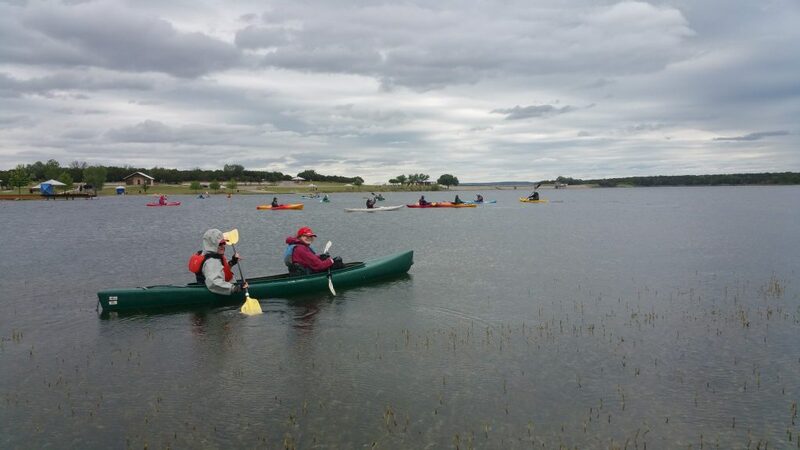 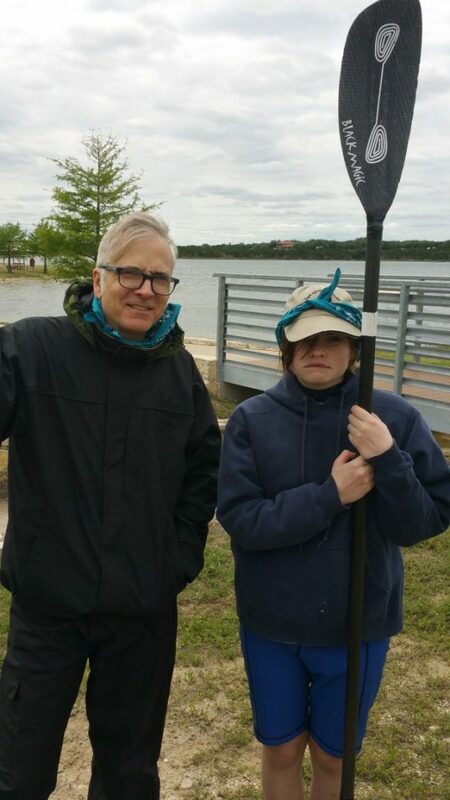 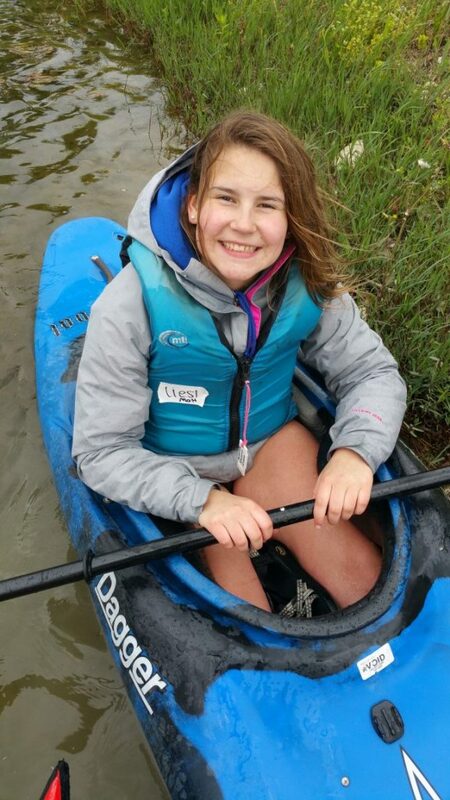 Join us next month for the funnest outdoor paddling event in North Texas! 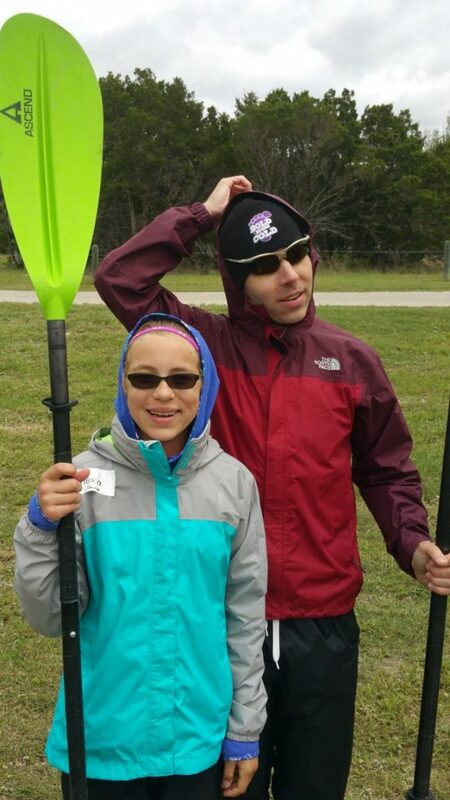 And a Special THANKS TO OUR FAV ON THE WATER EASTER BUNNY PADDLE KJ FOR THE EASTER BAG GOODIES TOO!